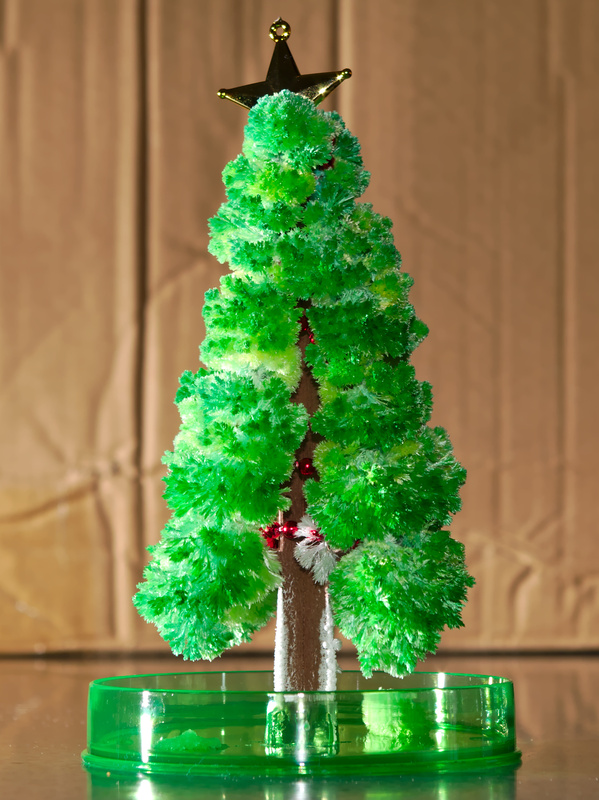 A general Christmas post is forthcoming, but take a look at this grow-your-own-Christmas-tree kit (spoiler: it's actually salt crystals, not a plant). Thanks Mollie. Here's a 2.5 hour time lapse of it growing (or download it here: Tree Crystals using right-click, save as...), and below is the fully grown tree. Previous Previous post: "Discomfort" or Torture?